It is so easy to navigate around One Child. Never get lost and always get where you want in only a couple of clicks. You are not restricted by when you write your stories. Write them at the time, straight after the event or even a day or more after the moment. 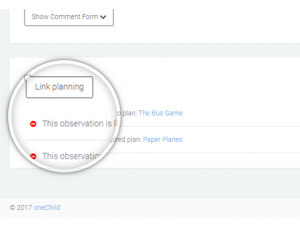 Link one or many children to each learning story saving time by not having to duplicate work. It is even easier to add an entire room of children to a story as well. 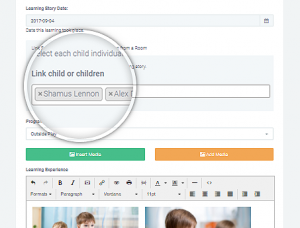 Add as many photos to your documentation as you need. 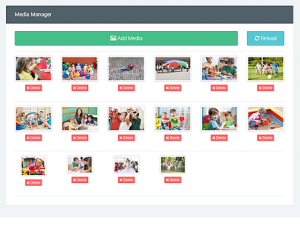 Each image added is also available in your gallery and for other educators to use immediately after they are added. 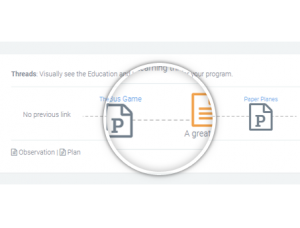 Video and PDF documents may also be added, the choice is yours. 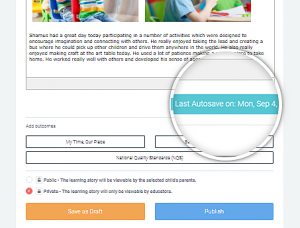 Auto save continuously updates your work as you write your stories or planning, ensuring that you always have a recent save of your work just in case something unexpected happens. 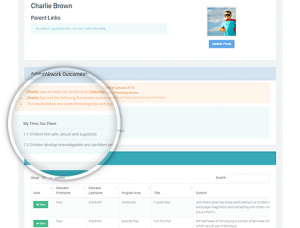 Select pre-populated frameworks from Australia or New Zealand National Quality Frameworks or add your own custom framework and outcomes. The outcomes from your chosen framework can then easily be linked to stories or plans and count towards a child’s achievements and centre wide statistics. 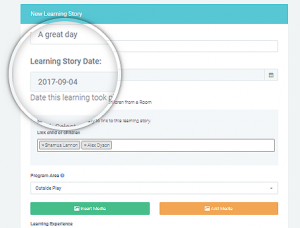 Link plans and stories together to show intentional teaching practice and how further extension of learning is implemented at your centre. Threads is a visual representation of linked plans and stories which represents learning and centre programming development and extension. 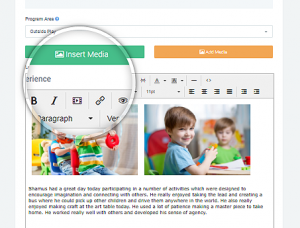 Add reflections to documents by completing them within a story or plan or just reflect in general without the need to link to other documentation. Reflect your way as One Child will fit right in with your needs. 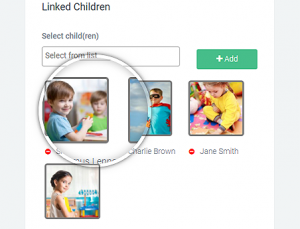 Profile pictures (avatars) for children and educators are displayed throughout One Child giving educators an instant understanding of who is involved in learning. 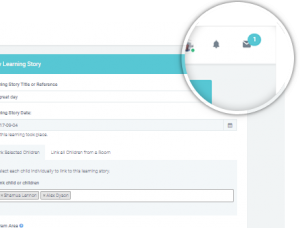 Parents can provide feedback to educators via shared stories. Educators may respond and open up conversations and create deeper more meaningful relationships with parents and gain insights into children. Connect with your community effortlessly. Keep parents up to date with what their child is doing in your centre. Send messages to individual educators or parents, make announcements to all staff or the entire centre. 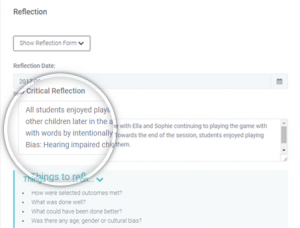 By default all stories which are shared with parents need to be reviewed by a centre administrator. 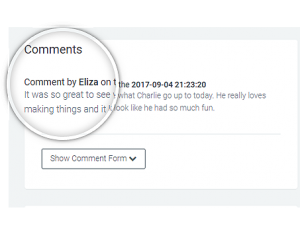 Administrators can then approve, return for changes, make changes themselves or make the story private so it will not be shared. This feature may be turned off if the centre chooses to do so. 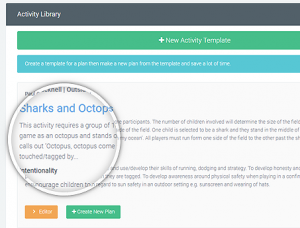 Create a library of activities for your centre and then use the library to create a plan in less than 30 seconds. It is a great time saving feature. Create a week at a glance planner for each room or for the morning / afternoon sessions. 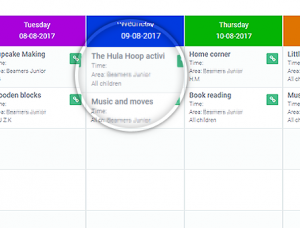 Import activities already created for a day and link new activities to plans. 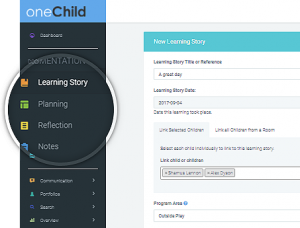 This is a living document which can be used to show child directed learning. 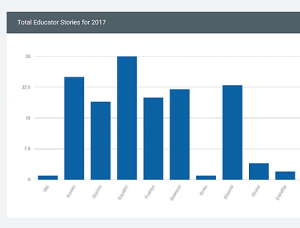 Monitor statistics for your centre including the number of stories, plans or reflections educators create, the percentage of framework outcomes achieved across the entire centre and how many stories have been created for children including those without a story yet. 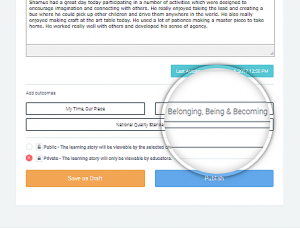 Every story, plan, note or reflection is linked back to the educational author and to the children those documents are linked to creating an extensive portfolio. Child portfolios also inform educators of linked parents/guardians and which of your frameworks outcomes have been achieved to date. The media gallery holds all of a centres images, videos and documents which have been added to One Child. It makes it easy to browse and view all your media in one place.